The global leader and technology innovator in consumer electronics, LG Electronics Canada has recently announced its new LG Xenon is now exclusively available via Rogers Wireless. The quick messaging phone has been designed for those who like all-in-one functionality phone. 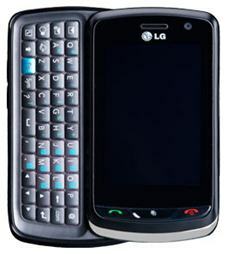 Featured with a 2.8-inch touch screen display with 240 x 400 resolutions, LG Xenon is also equipped with a 2.0-megapixel photo snapper with video recoding function, it boasts a sliding QWERTY keypad for voice, video, picture or text messaging, integrated a MP3 player for users to enjoy their favorite songs while on the go, supports Quad band GSM/EDGE, dual-band HSPA and GPS capabilities. Besides, it is Stereo Bluetooth enabled and supports up to 16GB of microSDHC memory card. The touch screen phone is now available at Rogers Wireless and is priced at $80 with a three-year service contract. This offer also comes with an application that enables the users to customize the home screen of the phone as well as contacts and applications.